The item is new and is used to connect the following consoles to your TV via the standard RF TV Aerial cable still fitted to most current LCD/LED Tvs and older style TVs too . This Super Nintendo Aerial cable cable lets you do just that! 1 x Super Nintendo Aerial Cable. 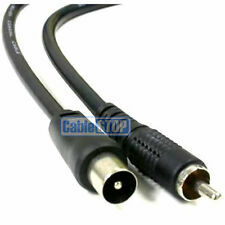 Male RCA phono jack to standard TV coaxial RF cable. 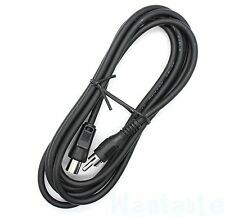 2m long cable, long enough to connect your TV and console. N64 (you will need the adapter). 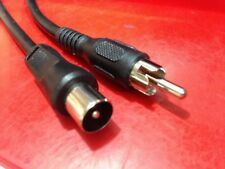 RCA Phono Plug to Coax Male Plug. Sega Master System 1 & 2. RF Plug to TV Aerial Console Lead. Retro Console Cable. Nintendo Console TV Aerial Lead. For PAL TVs. Nintendo 64 (adapter required, not included). RF TV Cable Aerial Lead. SNES SUPER NINTENDO (PAL UK). Nintendo NES Original Consoles. RF Lead 190 cm Approx. This lead is connected between the aerial connection of a TV and the gaming/computer unit. Sinclair Spectrum/Commodore RF TV Cable Aerial Lead. GCUBE N64 SNES. MADCATZ RF CABLE MODULATOR. Plattform Nintendo SNES. The original Nintendo to theSignal transduction of the Super Nintendo console to the TV. Also compatible with the classic Nintendo (NES). Original TV cable for Super Nintendo. Platform Super Nintendo SNES. Box of the AC may Differ than the actual picture. NON CONTINENTAL USA AK / HI / PR / APO / FPO / & OTHER US TERRITORIES. All 3rd Party. 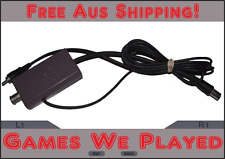 GENUINE NINTENDO SNES SUPER NES RF TV LEAD CABLE BOX - TESTED - AUSTRALIAN ? ITS IN AVERAGE USED CONDITION AND WORKS FINE IN THE UK ON A UK SNES. I THINK THIS MAY BE AN AUSTRALIAN VERSION BUT IT WORKS FINE ON A UK CONSOLE AND IS A RARE ITEM. Platform Super Nintendo SNES. NON CONTINENTAL USA AK / HI / PR / APO / FPO / & OTHER US TERRITORIES. All 3rd Party. Plattform Nintendo SNES. Also compatible with the classic Nintendo (NES). Antenna splitter for Super Nintendo. Marke Nintendo. ■ Included: Soft. Can make you sit comfortably away from your TV;. Included: 1 x Extension Cable. Length: Approx. 1.8m /5.9ft. Good tensile strength;. If item is defective after 3 months, you can still send it back to us. Any flaws with the product will be described and shown in pictures provided. I am not an expert on this item. before you leave Negative Feed Back. ACTUAL PHOTO OF ITEM. 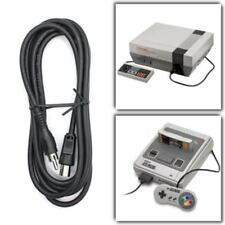 This cable can be used on both NES models and the first SNES model. The cable has been wrapped up, but works fine. Box of the AC may Differ than the actual picture. NON CONTINENTAL USA AK / HI / PR / APO / FPO / & OTHER US TERRITORIES. 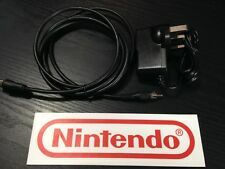 PRODUCT: Nintendo RF cable for Nintendo SNES console but also used for Nintendo 64 (see the real photo of the product). This is an original Nintendo RF cable and it's in perfect working and aesthetic condition. SNES - official RF-antenna cable SNSP-003 (used). used official RF-antenna cable SNSP-003 | IMPORTANT: Tested & fully functional - Normal age-related traces of use. Pattern picture! Item may differ from the photo. Original RF-câble d'antenne SNSP-003. Image de motif! Grosse sélection, plus de jeux que vous pouvez trouver ici. Le Konsolenkost-Team vous souhaite beaucoup de plaisir. Droit de résiliation. Conditions d'utilisation. Original OEM Nintendo NES RF Switch Cable. This item is in good working condition and has been tested to work. This RF switch works with both Nintendo and Super Nintendo. 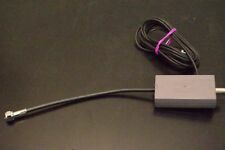 Nintendo NES-003 RF Switch Cable for NES or SNES. ORIGINAL . Condition is Used. Shipped with USPS First Class Package. Genuine Nintendo SNES & NES RF Cable Replacement Super Nintendo & Nintendo. Condition is Used. Sent with Australia Post Standard Service Registered. SNES TV Cable: RF Aeriel. Nintendo SNES. RF Cable to connect SNES console to TV. Nintendo NES. Nintendo 64. Nintendo Wii. Nintendo Wii U. Nintendo DS. Nintendo SNES. SNES TV Cable: RF Aerial Extension. Extension Cable to increase the length of the RF Cable that connects the SNES console to a TV. Nintendo NES. Nintendo 64. Nintendo Wii. Nintendo Wii U. Original RF-cable de la antena SNSP-003. Image de motif! Gran selección, más juegos que puedes encontrar aquí. El Konsolenkost-Team te desea mucha diversión. Política de Privacidad. Condiciones de uso. CABLE CORDON TV ANTENNE AERIAL RF CONSOLE MEGADRIVE MASTER SYSTEM NES SNES N64..
Nous avons un nouveau câble d'environ 1 mètre pour les consoles détaillées ci-dessous. You will never receive an AV cable from us that has cut through, spliced, or exposed wires. Item is used, signs of use should be expected. NO EXCEPTIONS. Item does need to be received in exact condition as listed and shown here. Nintendo SNES. Nintendo NES. Nintendo 64. Nintendo Wii. Nintendo Wii U. Nintendo DS. Nintendo 3DS. As such, the image will not always be of the exact item, but will be in a similar condition. With standard N64 input connector, video output connector and 2 audio output connectors. 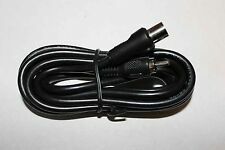 1 X A/V Cable Cord For Nitendo N64. 100% new and high quality generic AV Composite Cable for Nintendo 64/NGC/SFC. Can be used on the NES Top Loader & SNES console.as well as the N64 with another adapter. I will NOT send one with a broken/very loose female part on the switch, that connects into the TV. All have been tested & work without issue!